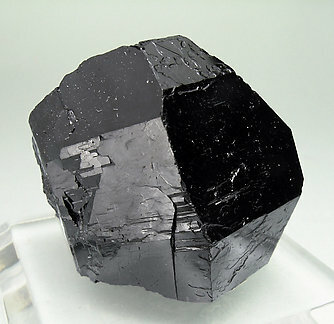 This crystal, from a classic locality from the New York state, is formed by a short prism and the terminal flattened rhombohedron faces, which are well defined and show a good luster. Although it looks damaged in two places, one of them is a natural hole with crystal faces inside. The other one effectively is a ding.